I3D 2012 has successfully concluded. Pictures from the conference can be found here. (Many thanks for Mauricio Vives from Autodesk for taking all of these pictures). Stephen DiVerdi, Adobe Systems Inc.
Aravind Krishnaswamy, Adobe Systems Inc.
Radomir Mech, Adobe Systems Inc.
2012 marks the 26th year since the first conference. This time we will go to Orange County, California during March 09th-11th(Friday-Sunday). We invite you to submit papers across the entire range of topics in interaction, interactive 3D graphics, and games. I3D 2012, hosted by University of California, Irvine, will be held at the Westin South Coast Plaza, Costa Mesa in Orange County, California. Orange County belongs to the greater Los Angeles (LA) area which is one of the biggest academic and IT centers of the USA. UC-Irvine, UC-Los Angeles, University of Southern California, and Cal-State Fullerton are the main academic centers of the area. Los Angeles, Irvine, Westminister and other such towns of the area are the home of thousands of IT companies including gaming (e.g. Obsidian, Blizzard), entertainment(e.g. 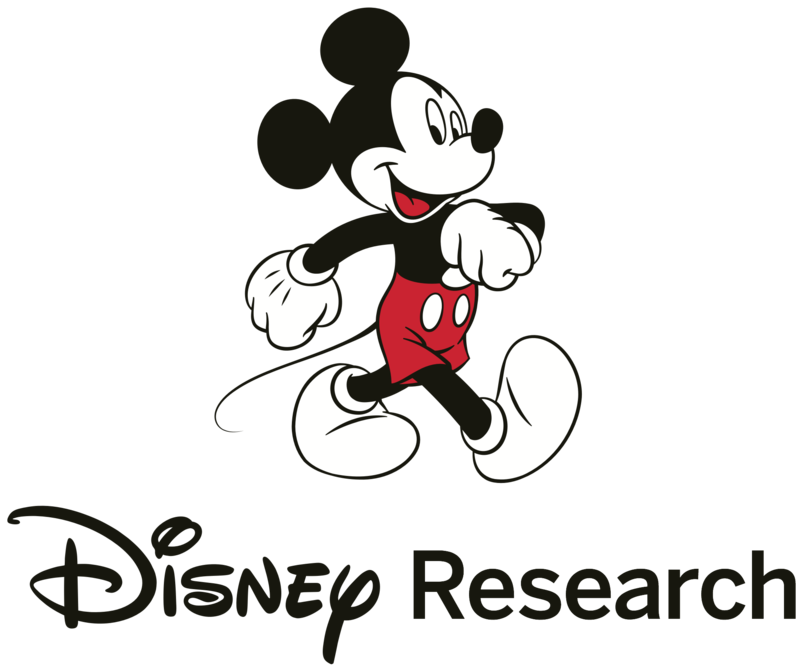 Disney, Dreamworks, Pixar, Institute for Creative Technologies), and devices (e.g. BenQ, Canon). With the co-location of IEEE Virtual Reality 2012 (March 04th-08th) and IEEE Symposium on 3D User Interfaces 2012 (March 04th-05th), we will provide ample opportunities for cross-fertilization of ideas and technology across different synergistic communities centered around 3D graphics and virtual reality. Over the past decade, physics simulation has become a fundamental tool for creating believable user experience in interactive games and movies. Recent progresses in graphics hardware and techniques enable use of simulation algorithms for very complex problems such as thousands of rigid body stacks, clothed characters, and water interacting with environments. In this talk, we overview recent advances in real-time physics simulation techniques and contrast requirements of real-time applications to higher end offline techniques used in VFX industry. We will also briefly demonstrate our current and upcoming researches and discuss challenges in the content creation pipeline for physics oriented game developments. "CAD (computer-aided design) software is used by engineers and architects around the world to design buildings, cities, consumer electronics, automobiles, and aircraft. DCC (digital content creation) software is used by artists to create visual effects and virtual worlds for films and games. In prior years at I3D, we have heard several game developers describe how they look for and integrate graphics research into their games. Now we consider the perspective of the design software developers: how are these applications similar to and different from games, and what kind of research is most helpful?" The day 3 of the conference, March 11 (Sun), 2012 is named as the Game Industry Day. There will be a game industry panel, and the paper sections are more related to game development. Please check the Game Industry Day web page for more information. The program schedule of the day 1 of the conference, March 09 (Fri), 2012 is updated to include the UCI iGraVi lab open house session. There will be shuttle service for round trip between the Westin hotel and the UCI campus. Please check the here for the new schedule. Interactive 3D virtual environments impose severe but specific demands on computer systems which have led to the invention of new algorithms and hardware for simulation of virtual environments, as well as novel interaction devices. In this talk I will focus, instead, on the human sensorimotor system that interacts with a 3D virtual environment. This is an ancient system that evolved to interact with the real, physical world, with capabilities and constraints that are very different from those of modern computer systems. For instance, neural communication is surprisingly slow but the system as a whole is amazingly fast and effective, probably due specific features of biological sensors and muscles as well as the architecture for sensorimotor computation in the central nervous system. We are just beginning to understand how this remarkable system actually works. I will describe some of our current understanding, touching on the biomechanics of movement, multisensory integration, sensorimotor coordination, and the human hand. Computational models of sensorimotor physiology are on the horizon and could, in the long term, help design more efficient and effective systems for 3D interaction. 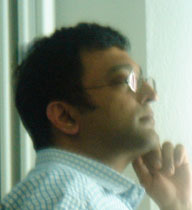 Dinesh K. Pai is a Professor and Tier 1 Canada Research Chair in the Department of Computer Science at the University of British Columbia. He is also a member of the Institute of Applied Mathematics, the ICORD International Collaboration on Repair Discoveries, and the Brain Research Centre. He has been a Professor at Rutgers University, and a visiting professor at Carnegie Mellon University's Robotics Institute, New York University's Center for Neural Science, the University of Siena (as Santa Chiara Chair in Cognitive Science), and the Collège de France, Paris (elected Professeur Invité). He received his Ph.D. from Cornell University, Ithaca, NY, and his B.Tech. degree from the Indian Institute of Technology, Madras. His current research is focused on sensorimotor computation in neurobiology, computer graphics, haptics, and robotics. See http://www.cs.ubc.ca/~pai/ for more information. Mar. 17, 2012 - Conference photos are added. Go to the home page to check the update. Mar. 13, 2012 - Award list is added. Go to the home page to check the update. Mar. 05, 2012 - Program schedule is updated. The assignment of the session chairs is added. Click here to check the update. Mar. 05, 2012 - The speaker, title and abstract of the NVIDIA talk (Sat, March 10) during the banquet are determined. Mr. Tae-Yong Kim, NVIDIA will give the talk. The title and abstract can be found at the home page. Mar. 04, 2012 - The title and abstract of the industry talk (Sat, March 10) by Mr. Mauricio Vives, Autodesk are updated at the home page. Feb. 19, 2012 - Single day registration for the game industry day, March 11 (Sun), 2012 is added to the registration system, click here to register. Feb. 19, 2012 - Game industry day web page is added. Click here to access. Feb. 19, 2012 - Program schedule for day 1, March 09 (Fri), 2012 is updated. The UCI open house session is added. Click here to check the update.